The idea behind Essential Home is that technology is there, supportive, and proactive enough to be helpful, without forcing you to ask or type a question. It’s in your environment; you can tap or glance at it, but it never intrudes or takes you away from the things that are important to you. The Essential Home is vapourware at this point: no firm release date or price, work-in-progress operating system, incomplete public reveal, and spurious claims about HomeKit integration that I doubt will ever materialise. We don’t know much beyond this picture of what the hub looks like. That’s the truth. With that in mind, this is a better execution of the assistant-with-a-screen hardware product than the Echo Show appears to be. It’s far more discreet in its form — the screen turns off completely when not in use — as an object and looks modern in a way that the Echo Show really doesn’t. When I look at the marketing materials for the Echo Show, I can’t shake the memory of a 90’s CRT television from my mind. 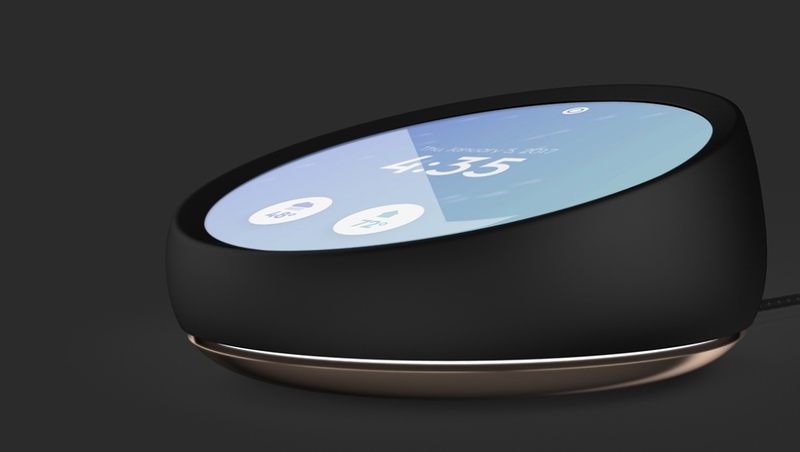 In stark contrast, the industrial design of the Essential Home is futuristic (round screens are cool). It makes a visual statement without being gaudy. Obviously, the product itself will probably be a flop as the company will get crushed by the Amazon, Apple and Google juggernauts of the industry when it comes to the software stack and platform integration. I guess what I’m saying is: Amazon should have designed the Echo Show like this.